A boat is any vessel or conveyance that floats on or operates on the water and is under 197 feet (60 meters) length overall (LOA). A boat may be used for pleasure, commercial, or residential purposes. 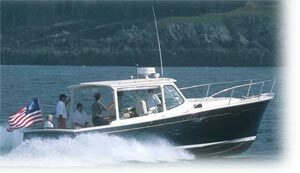 Boat is synonymous with small craft in marine use. The size breakpoint between boat and ship is necessarily arbitrary; however, Lloyds small-craft division deals with vessels under 60 meters. Experience has also shown that below 60 meters LOA, longitudinal-strength (hogging-and-sagging) calculations are usually trivial, whereas over 60 meters these calculations become important. These are two firm reasons for setting 60 meters as the division between boats and ships. A ship is any vessel or conveyance that floats on or operates on the water and is equal to or larger than 197 feet (60 meters) length overall (LOA). A ship may be used for pleasure, commercial, or residential purposes. Length overall (LOA) is the length from the forwardmost tip of the bow to the aftermost end of the stern of a vessel’s primary hull structure. Length overall (LOA) does not include projections from the primary hull structure, such as: anchor rollers, bowsprits, pushpits, railings, or swim or transom platforms (that are not integral parts of the hull structure). A yacht is any moderately large vessel or conveyance that floats on the water which is used for pleasure, not for commercial purposes. The exception is that some yachts are chartered with professional crew to paying passengers, who then primarily use the yacht for pleasure. Such a vessel is a charter yacht. There is no firm lower-end cut-off for the size of a yacht; however, it can generally be said that a vessel or conveyance used on the water for pleasure, approximately under 30 feet (9.1 meters) LOA is a not a yacht but a pleasure boat or recreational boat (see below). Most yachts are boats but not all yachts are boats. Some very large vessels have been built entirely for private pleasure and pleasure-charter use, a few over 400 feet (122 meters) LOA. Such vessels are ships that are yachts. Very large yachts are often termed megayachts or super yachts. Megayachts are yachts that are generally over 100 feet (30.5 meters) LOA, though there is no firm cut-off point on the lower-end of the size range. Super yachts are yachts that are generally over 150 feet (45.7 meters) LOA, though there is no firm cut-off point on the lower-end of the size range. Many super yachts are ships, not boats or small-craft. A charter yacht is a yacht employed primarily for recreational purposes, that is principally operated by a professional crew for paying passengers who themselves will primarily use the yacht for pleasure. Charter yachts are really commercial vessels even though the word yacht applies to them. Charter yachts must meet commercial requirements for passenger-carrying vessels. In the U.S., this applies if they carry more than six paying passengers. Craft are any vessel or conveyance that operate in a fluid medium or a vacuum. Thus, boats are craft; aircraft are craft; and spaceships, spacecraft, and space capsules are craft. When applied to vessels or conveyances that float on the water, a craft is any boat or ship of any size or type and of any use. A small craft, in a marine context, is any vessel or conveyance that floats on or operates on the water and is under 197 feet (60 meters) length overall (LOA). A small craft may be used for pleasure, commercial, or residential purposes. Small craft is synonymous with boat in marine use. Though the term craft applies to all vessels operating in a fluid medium, the term small craft is only used when applied to boats. Pleasure Craft, in a marine context, are all boats used for recreational not commercial purposes. Though the word craft applies to all sizes of vessels, by convention pleasure craft are boats, and most commonly are small to moderate sized boats, under approximately 80 feet (24.3 meters) LOA. Though the term craft applies to all vessels operating in a fluid medium, the term pleasure craft is only used when applied to boats. The term pleasure craft, or the terms listed as synonymous below, are commonly used to describe smaller boats used for recreation, that are too small to be termed yachts; however, pleasure craft over 30 feet (9.1 meters) LOA may be properly called either yachts or pleasure craft, or any of the synonymous terms below. Personal watercraft (PWC) are small vessels or conveyances that float on the water and are powered by engines, commonly propelled by jet drives to achieve fairly high speeds, usually in excess of 20 knots. PWC have no interior and are ridden by sitting on top of and astride them as one rides a motorcycle. Personal water craft (PWC) are generally not considered boats. PWC are usually under 15 feet (4.6 meters) LOA. Though personal watercraft are not considered boats, they must obey the same rules of the road as any boat of the same size, according to applicable Federal and local law.